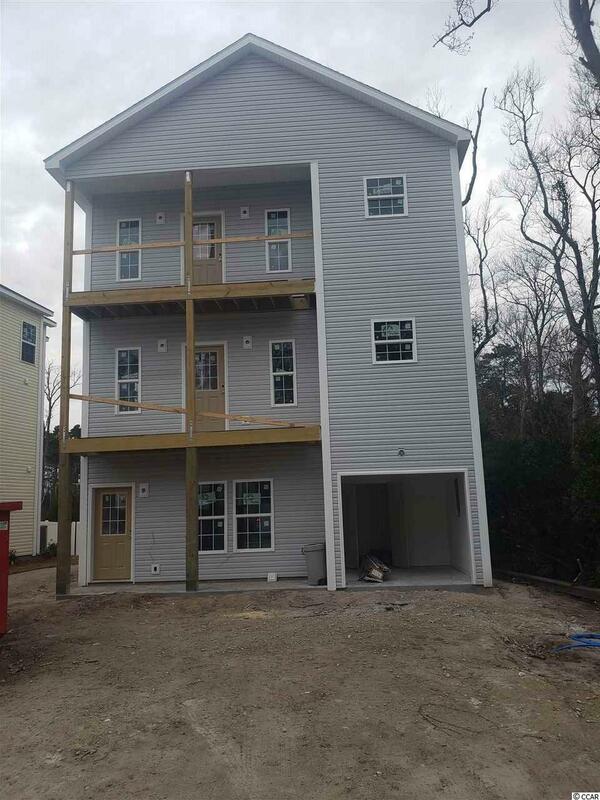 2BR / 2BA / 1528HSF new construction home. great floor plan with master bedroom on top floor for great privacy with 2nd master / guest suite on ground floor - all living space / kitchen and laundry on mid floor. Kitchen features custom cabinets, granite countertops, and stainless appliances package. Turn key completion with concrete driveway, fully landscaped and irrigated yard. Golf cart garage with extra storage, covered front porches with composite decking and vinyl railings. Easy access to beach, shopping restaurants and that NMB has to offer.